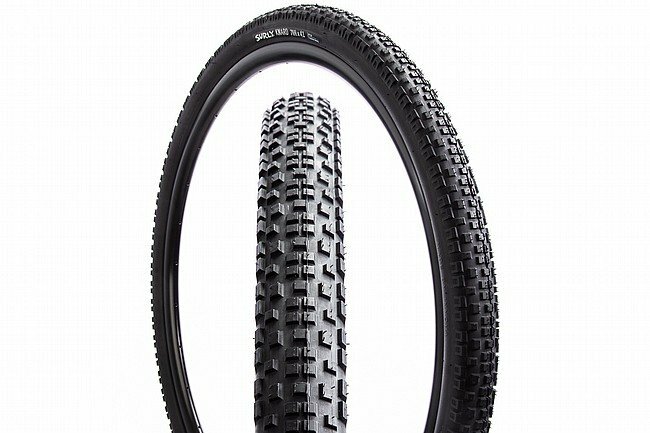 The Surly Knard Adventure Tire is designed for going fast over a variety of terrain. Featuring a balanced tread pattern made up of low, closely spaced knobs, the Knard digs into turns for aggressive grip while rolling smoothly for efficient riding. A 33 TPI wire bead construction makes this an economical choice, offering affordable performance. Balanced tread pattern of closely spaced knobs.